Advertise on VideoGuitarLessons.com and reach hundreds of thousands of music enthusiasts. Use this page to order and upload your ad. The ad will appear in fair rotation on the home page. Your ad must conform to the terms of service to be approved. 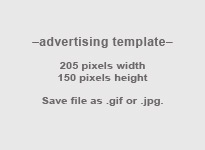 All costs for advertising shown below are for a period of one month. you have selected. A confirmation number will be sent to your email.